A couple of years back, in 2016, the color oxblood was seen sweeping the fashion shows and ramps everywhere. It was a rich, dark shade that gave off a royal vibe and suddenly, everyone was seen flaunting it. 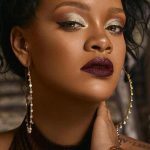 I don’t know if you have noticed how darker and more pigmented shades have come in vogue, and this trend has been on the rise especially in the makeup department, more specifically in lip colors. Fashion is cyclical in nature (what goes around comes around) and maybe this trend can be read as a flashback to the emo 90s. Though one thing is certain, the trend of dark lip colors is here to stay for a while. And if you are not a brave soul who can flaunt these bold babies like a boss, for the fear of appearing like a vamp, don’t worry there’s a way out for you too. It wouldn’t matter if your lipstick is from a top-notch brand or has the perfect finish if your lips are not in a condition to display it. So for that, you need to keep them in tip-top condition and you can do that by exfoliating them at least once a week and moisturizing them daily. In order to exfoliate your lips, you can take your toothbrush and very gently, rub it over your lips. You can also use overnight lip masks to moisturize your lips. Firstly, you should apply some concealer or foundation to your lips, so that when you do apply the lip color over it, it should stay true to the bullet. Second, line your lips with a liner, doing so will stop your lip color from feathering. You don’t have to completely line your lips, just the bow, the edges and below your lower lip. And finally, apply the lipstick and blot it with a tissue paper. While the tissue is placed on your lip, dust off some translucent powder over it, and then remove the tissue and apply the final layer of lipstick. Though one should keep in mind their complexion while going for darker colors, people who have only begun to dabble in them should go for softer variations of the shades. As you practice and perfect your application, you can go for more pigmented shades. Also, go for shades which won’t make your teeth look yellow. Lip shades, especially the red ones which have a bit of blue in them would be perfect for that. They will make your teeth look whiter and brighter. Darker lip shades make your lips look smaller and thinner, and it can be a problem if you have thin lips. To avoid that, go for a lip color which has a glossier or a creamier finish as they make your lips appear full and plump. If you are blessed with pillowy lips, then you can go for any finish. As we stated above, when it comes to choosing the perfect shade for you, it’s all about your skin complexion. If you have a warm complexion, that is if you have warm undertones then go for berry-toned or terracotta colors. If you have peaches and cream complexion, then you can easily carry off berry colors with blue undertones. And if you have an olive complexion, then we suggest you go for brown-based shades, that have golden undertones. Pulling off a dark lip color is as much about choosing the right shade as it is about choosing the right makeup. Dark colors can make your face look dull, so you have to choose your makeup such that it lifts up your whole look, while still being muted enough so that it doesn’t clash with your lip color. So, a neutral eyeshadow or a rose-hued one coupled with a very light blush and black eyeliner would be a great fit. Lastly, you need to pair your lips with the perfect outfit, otherwise, it can all clash together. And for this, you need a monochromatic outfit which complements your lip color. Neutral colors like black, white, and beige work best with dark lip colors and if you want, you can add a pop of color in the form of some accessories, such as a bright clutch. This is all you need to know to pull off your favorite dark shade perfectly. All you need to do now is raid those makeup kiosks at the mall to find your perfect shade. Try on these tips and tell us how your experience was with them in the comments.